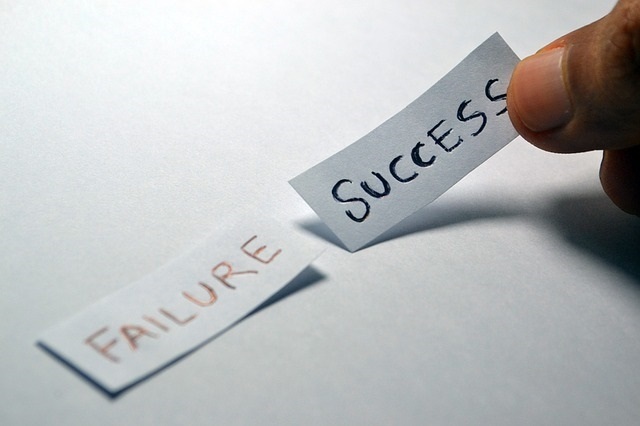 The Cycle of Success and Non-Success | Collier Wealth Management, Inc.
We have all heard it before: “If you don’t succeed the first time, try, try again”; or “if you get knocked down, you must get back up”; or íf you fall off your horse, you need to get right back on it”! Do you believe that these metaphors are legitimate, and if so do you practice them. You certainly did when you were a child when you attempted those first steps. How many times did you have to try, to suffer multiple bumps and bruises, but never give up? Consider the cycle of SUCCESS—you achieve it by making good decisions; good decisions are typically based on good judgement; good judgement is the result of experience; and experience is the result of FAILING in some way. These two concepts are inexplicably linked. So if we know that this is true, why do we spend so much time fearing and avoiding failure? Failure is no fun, but would you be the person you are today without the failures you have experienced. Very few people would relish the thought of having to relive their failures, and how it felt at the time. However, most people can look back on their failures, and are thankful for what they learned. Fear of failure can be a valuable trait when it allows us to avoid critical or life threatening risks. However, the majority of risks we face every day are not of this magnitude, and when our fears limit our ability to experience failure, we have just limited our ability to achieve success. It is a psychological phenomenon that most of us fear the pain of losing our financial resources, over the potential to realize a gain. Just listen to all the advertising that plays on those fears; yet the stock market has been trending up for over 100 years. It is not without it’s ups and downs, but the trend has been positive at an average rate (50/50 portfolio) of over 8% since 1926 (1). Fear, emotion, friendly advice, and human nature have been the worst enemies of the average investor. This is an interesting industry in which many people have bought high when everything is going well, and sell low, when there is a market correction. Contrast this with other purchases you make on a regular basis—do you buy things when prices are high, or not buy things when prices are low (i.e. on sale)? Success is in each one of us, provided we are willing to experience and learn from our failures. Here is a suggestion, don’t use the word failure anymore, use the term non-success. Many non-successes will lead to success, so treat each one as another step in the right direction.